Nearly completed apartment available for inspection – Register for an appointment today. Come home to a peaceful and glamorous retreat offering a seamless flow of private indoor-outdoor living centred around resort style with luxury amenities including a 20m pool, outdoor daybeds, private gym and poolside clubhouse. 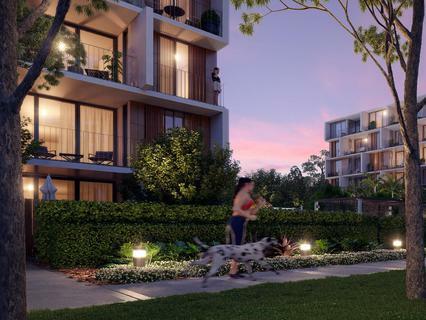 Set amongst lush sub-tropical landscapes and tall swaying palms, Palisade is a sanctuary where nature, leisure and vibrant cosmopolitan life unite. 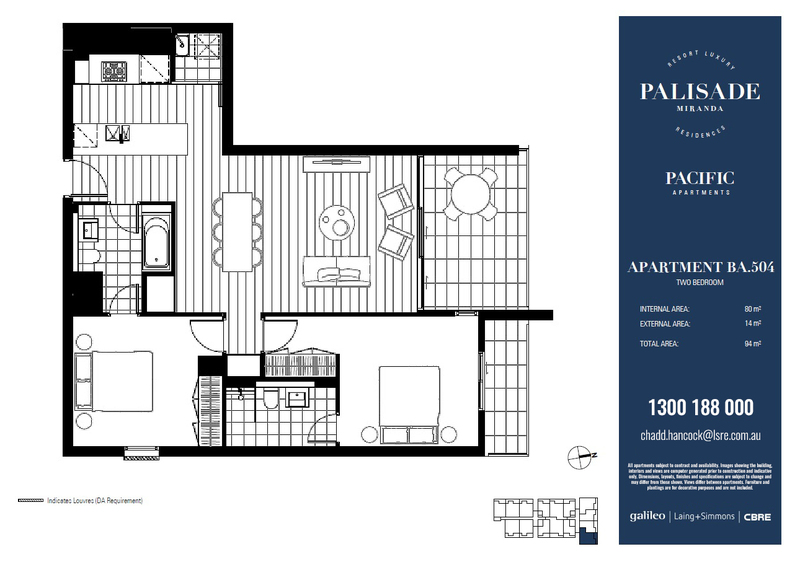 Palisade is from the Galileo Group, a leading Australian development with a strong track record in successful luxury apartment design and construction. Sydney architects Kann Finch and UP Architects collaborated on the elegant architectural design to make a landmark statement, and the beautifully finished interiors completed by Neil Bradford Design.